Listening Bird Press, 9780999660904, 282pp. It's happened to everyone who's been in emergency or public service communications for a while: you're at a drill or event, and a radio's not programmed right. Maybe it's your HT, or maybe a new ham has come up to you and said, "I can't figure out what's wrong." 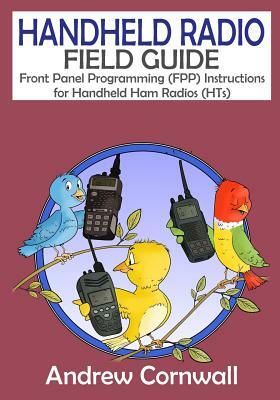 Today radios have a lot of features--and many hams don't know how to program their radios without a laptop and programming cable. This guide is an indispensable quick reference for that situation. It describes, in plain language and clear pictures, how to set up a radio using the radio keypad, without cloning cables or additional software. It includes many of the common radios you'll find in the field--and some that you may run into only once or twice. In addition to that, you'll learn about some of the problems you'll run into with each kind of radio, and how to fix them.